A route map of art locations in the quaint Winelands town has just been created. It is the result of a collaboration between Stellenbosch Visio magazine, Stellenbosch 360 and the creative community of the area. 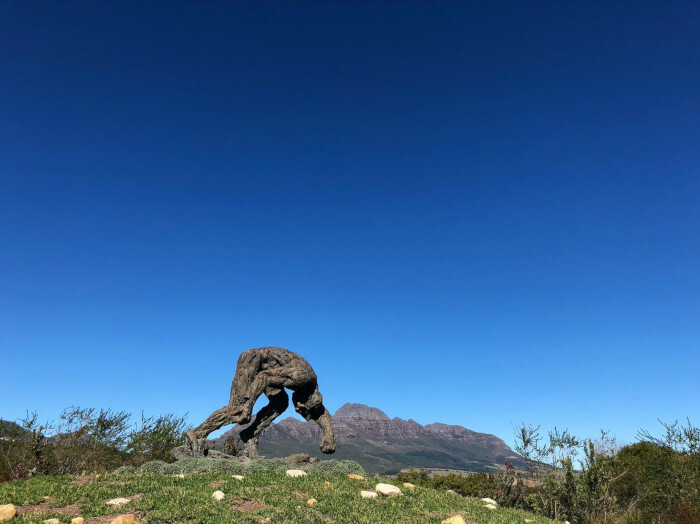 The art guide helps visitors to Stellenbosch find various galleries, museums, craft markets, foundries, sculptures gardens, and open-air art exhibits in the town centre and nearby wine estates. 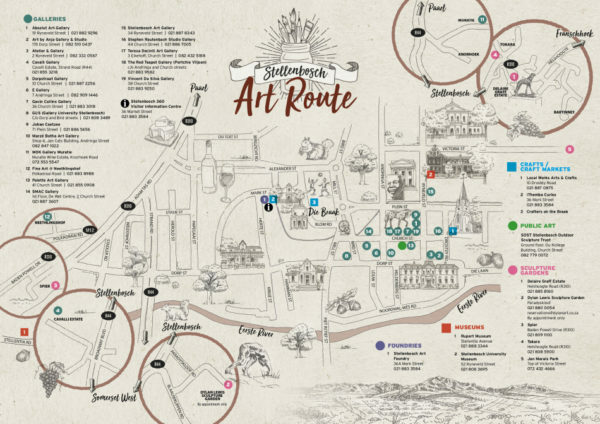 Designed to be easy to navigate, the Art Route map shows the reader where they will be able to see internationally-acclaimed works of art from artists such as Irma Stern, Gerard Sekoto, Walter Battiss, Ephraim Ngatane, Dylan Lewis, Marlene Dumas, and more. 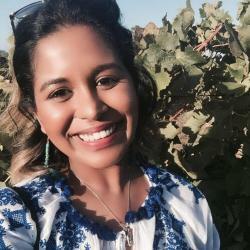 Stellenbosch is home to a thriving arts and culture scene that has not fully been explored by locals or tourists. The map is aimed at creating a greater awareness of the area’s rich cultural and artistic heritage. The implementation of the map hopes to boost tourism in the area. With the Art Route directing visitors to galleries, local up-and-coming artists in the area will be able to have their work seen by a wider pool of people, further enabling the growth of the town’s art scene. The map is available online at Stellenbosch Visio and from the town’s Visitor Information Centre. Participating outlets took to social media to share their excitement about the map.